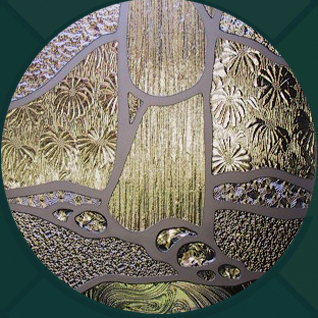 Mike Green has been working in glass since 1974 when he opened his first studio in Ogden, Utah. Since then he has produced many commissions, ranging from small residential panels to large architectural and religious installations. Mike currently lives and works in Artspace in Salt Lake City, Utah, where he continues to explore new techniques and applications of glass in an environment with artists working in many different mediums. "Art is important in everyday lives, and I'm interested in finding new ways to use the captivating medium of glass to produce art."